I’d never heard of officialdom lit until I read The Civil Servant’s Notebook, by Wang Xioafang. It is, however, a much beloved genre in China – or so I gather from the English on-line edition of The People’s Daily, where reporter Mei Jia recently wrote that officialdom novels frequently top bestseller lists, generally sell 100,000 copies, and often see sales soaring into millions. Alas, The Civil Servant’s Notebook probably disappointed Chinese readers looking for a leg-up, as though it surely qualifies as officialdom lit, it is hard to read it as a guide to winning promotion. Chinese readers choosing The Civil Servant’s Notebook because they wanted dirt won’t have been disappointed: Wang offers a tale of corrupt civil servants in a scramble for political prestige and personal gain, and never mind the public welfare. He writes with an insider’s authority, since he was private secretary to Shenyang’s deputy mayor from 1997-1999, during which time his boss achieved infamy for losing millions in public money in Macau’s casinos – he was later sentenced to death for his crimes. Wang was found innocent of involvement and left the civil service to set up shop as a writer. He has since specialized in re-examining his career through the lens of political fiction. 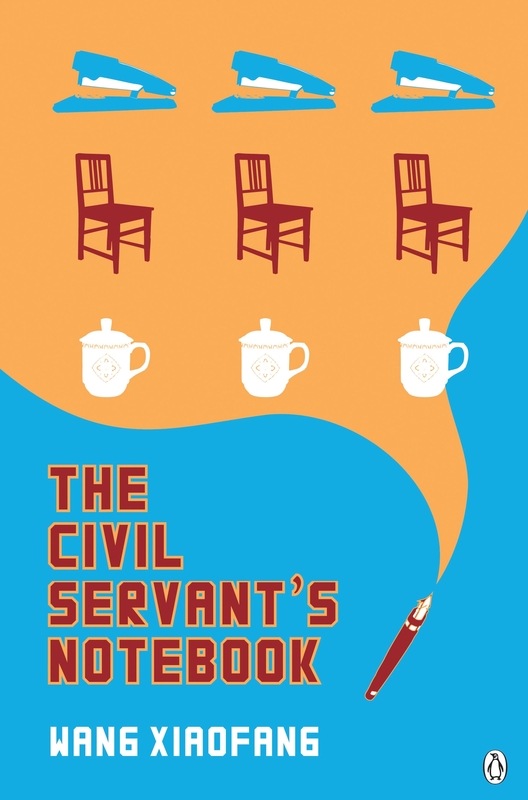 The Civil Servant’s Notebook is the first of his 13 novels to be published in English. Eric Abrahamsen translated it, and various English language editions are available in Asia - I read the one from Penguin, Australia. You might worry a book set in the world of Chinese local government will put you to sleep, but The Civil Servant’s Notebook is probably sensational enough to satisfy even fans of Dan Brown: skullduggery, seduction, and a money-grubbing Buddhist entrepreneur all feature. The plot revolves around the personal notebook of a high-up official, who works in provincial government. Its exposure to the internal enforcement brigade initiates a hunt for the anonymous writer. The hunt makes everyone in the civil service jumpy, from lowly researchers to vice-mayors. Not even the most practiced of civil servants can predict just who will outmaneuver whom, and, indeed, whether anyone will remain unscathed. Wang tells his tale through multiple narrators, including contributions from The Office Chair, The Office Desk, The Government Square, The Name Card, and so on and so forth. It’s an interesting way to tell a story, and this novel provides an interesting insight into modern China.